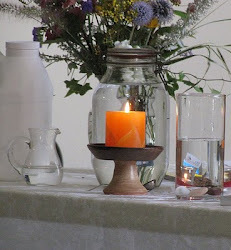 A radical understanding of the UU first principle, the inherent worth and dignity of every person, is to know the worst about someone and love them anyway. As a professional Social Worker I was taught to take the client where they're at. Further, one of the primary values of the profession is to approach and accept the client with a nonjudgmental attitude. Carl Rogers, the famous psychologist who pioneered client centered therapy, taught that one of the therapeutic ingredients in a therapeutic relationship is unconditional positive regard. In my professional life of 49 years I still work on this. It is much easier in my professional life than in my personal life because professional relationships are short lived and developed for a therapeutic purpose. In my personal life, relationships have a history and a future and I have a personal investment and stake. However, it is suggested in A Course In Miracles that I apply the same approach, attitude, and focus on my personal relationships that I do on my professional ones. I should approach all my relationships with a nonjudgmental attitude and unconditional positive regard. Lesson 181 in A Course In Miracles reads "I trust my brothers, who are one with me." It reads further, "We seek for innocence and nothing else. We seek for it with no concern but now." " For the past is gone; the future but imagined." It takes a spiritually mature person to rise above the drama of people's past lives (which we sometimes call baggage) and to set aside imagined future threats based on fears of hurt, and just be present in the moment focused on the divine spark which is within each person sometimes buried quite deep but there none the less. Joe told me he couldn't get over his wife's affair, not only that she had engaged in it, but that she had kept it hidden from him for 10 years. Joe said that he just couldn't get over it, nothing would ever be the same again. She was not the person he thought she was. I pointed out that disillusionment is a powerful emotion and seems to make him angry not only at the fact that she had had the affair, and kept it secret (lied to him) all these years, but that he felt himself a fool for not knowing. I wondered with him if the most upsetting thing to him was his pride not what she had done. We think we know and have a need to be right. To find out we are wrong is very difficult to recognize, admit, and incorporate into our sense of self without losing confidence, self esteem, and self worth. What is this pride that we feel we have lost for having been wrong and been a fool? It is a sense of shame which stems from feelings of inadequacy and defectiveness about who we are afraid we really are. 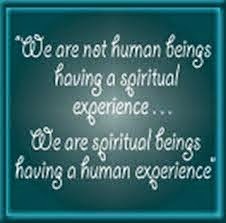 Yet spiritually, we are children of God, loved and perfect in every way. Our fears stem from the drama on the ego plane not based on spiritual reality. I suggested to Joe gently that he needed to get over himself and quit playing the victim. His wife's affair probably had nothing to do with him. Why is he taking this personally? Why is he making this all about himself? This occurred in the past and he seems afraid she could hurt him again in the future so he doesn't trust her even though this was a one night stand 10 years ago. Joe's feelings of disillusionment seem appropriate and I suggested he doesn't really know the person he is married to but he is now getting to know her better, for real, and he must decide how he wants manage his emotions and thoughts about the relationship. I am reminded again of the ACIM lesson, "I trust my brothers, who are one with me." "We seek for innocence and nothing else. We seek for it with no concern but now." This is a very difficult lesson similar to Jesus' injunction to love our enemies. At the end of the day, when we are dying, will all the mistakes we have made and others have made really make any difference? 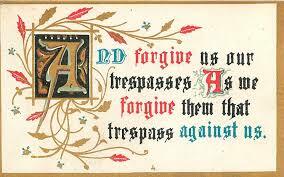 In the Christian prayer, the "Our Father," we pray, "forgive us our trespasses, as we forgive those who have trespassed against us."